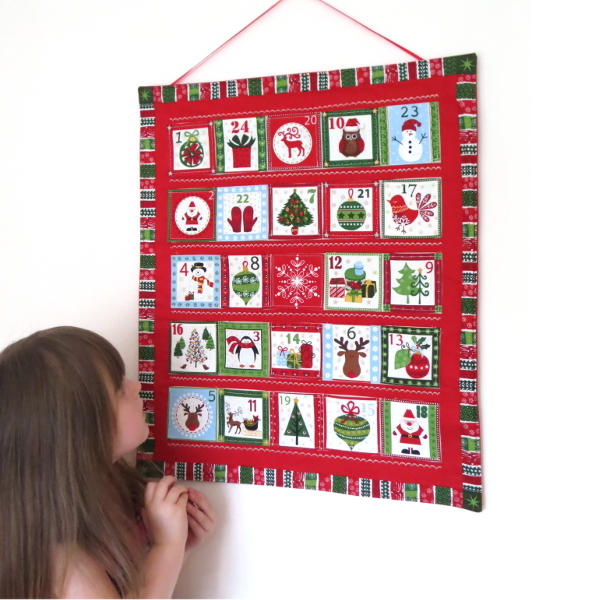 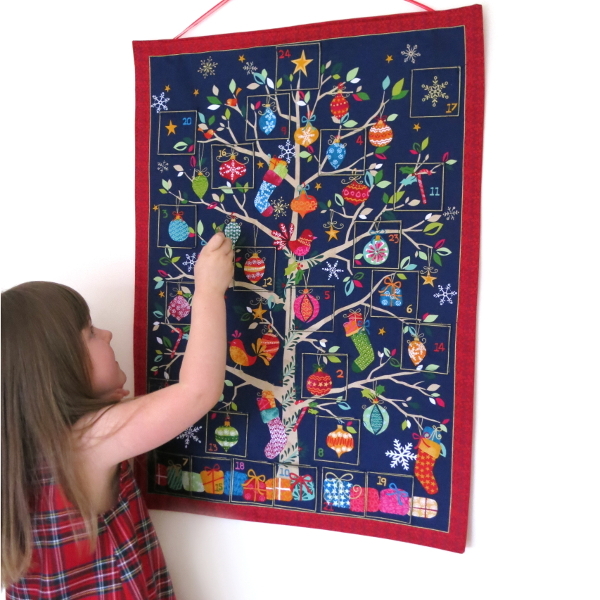 This exquisite Advent Calendar has 24 little pockets which you can fill with sweets, chocolates or tiny gifts to count down the days until Christmas. 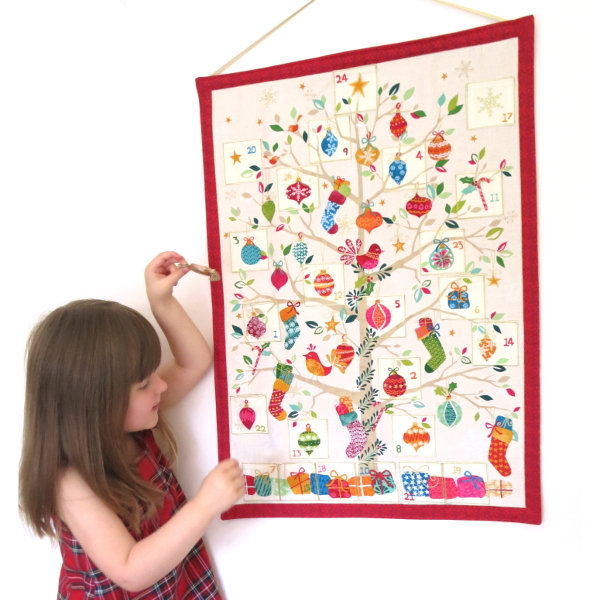 This is a truly decorative alternative to commercial advent calendars which you can use year after year. 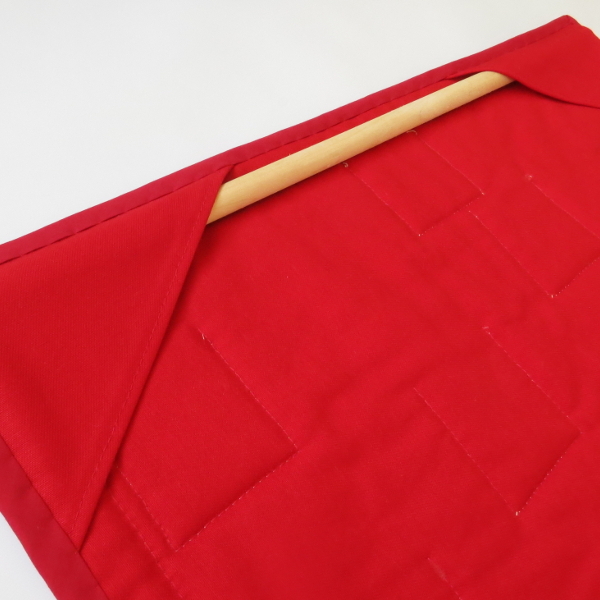 It is backed with a heavy weight red cotton and has a sleeve at the top through which a dowel or cane can be inserted in order to hang it on the wall. 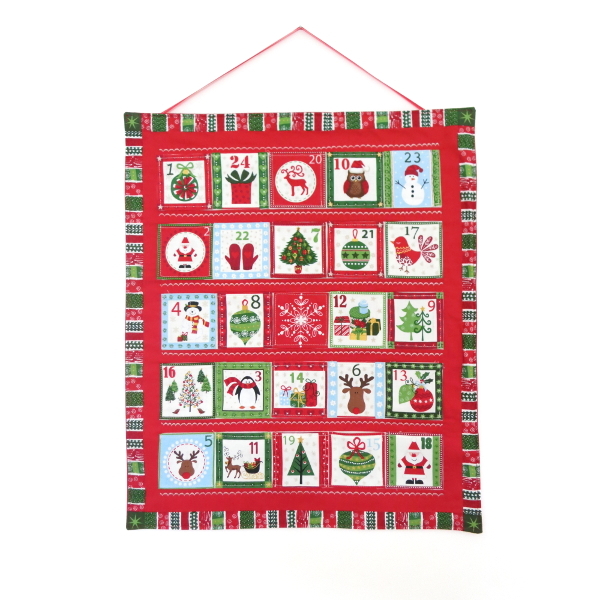 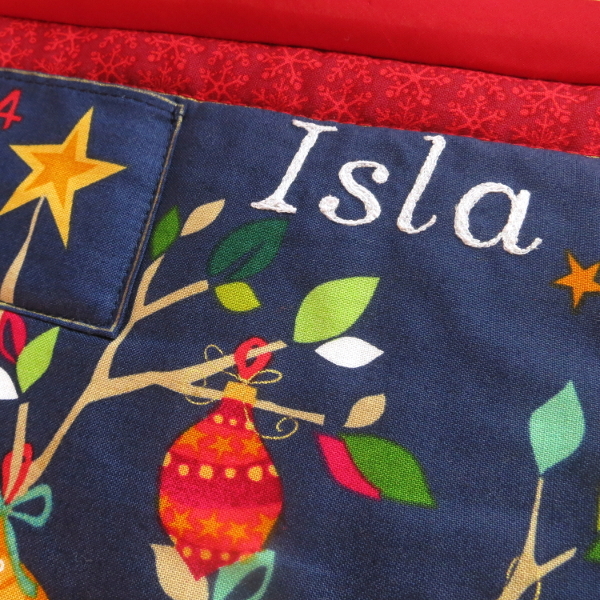 The calendar is quilted to give it extra body to support the weight of the little gifts you fill the it with.